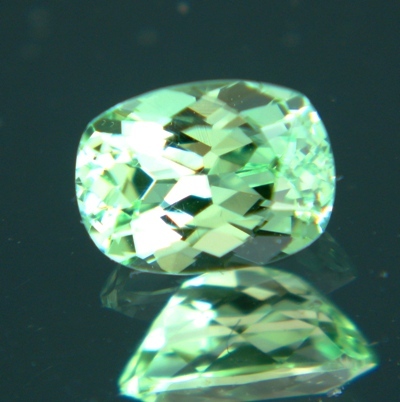 Comment: This type of green garnet is also called Mint garnet or Merelani Garnet, it is Tsavorite in brighter colors. This gem is remarkable with its bright shining hue, and its liquid, and an absolutely clean, crystal. Lovely. Very different from other green gems.